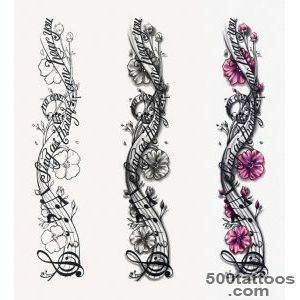 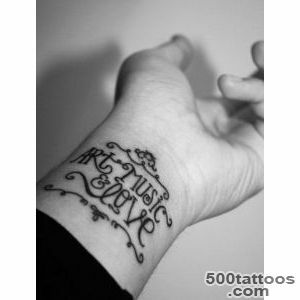 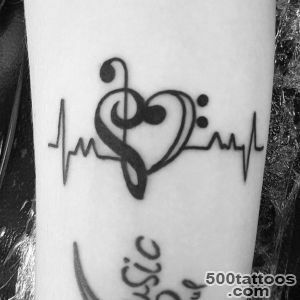 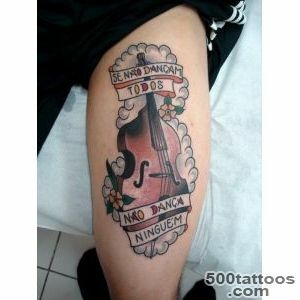 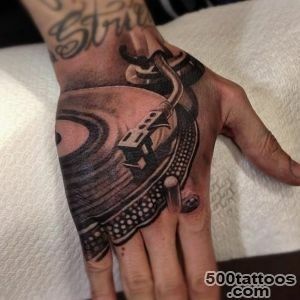 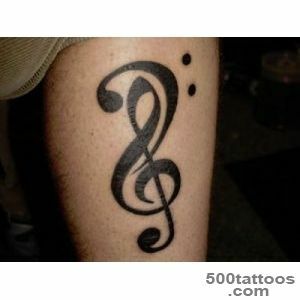 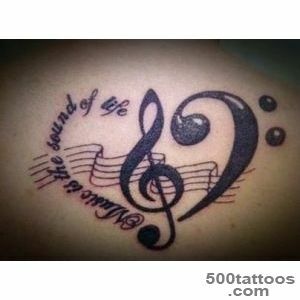 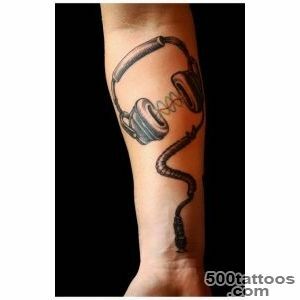 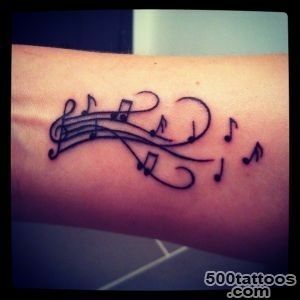 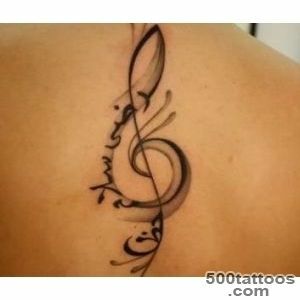 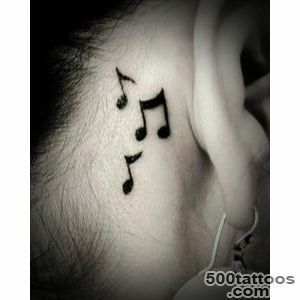 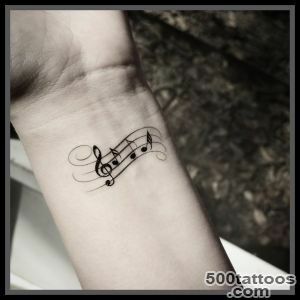 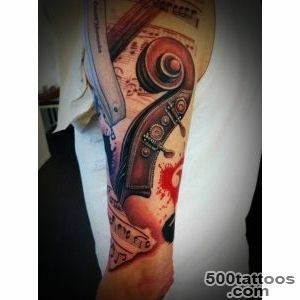 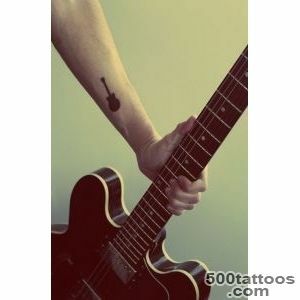 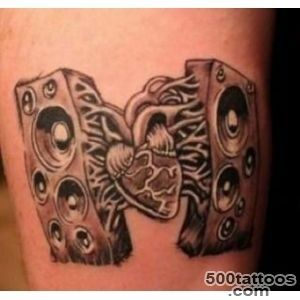 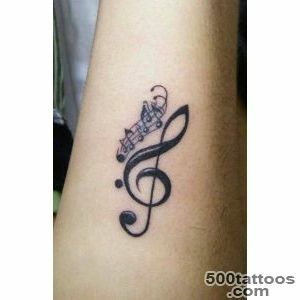 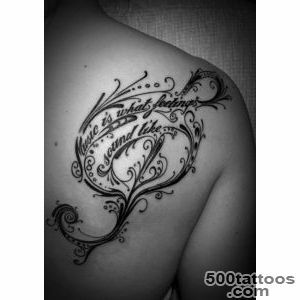 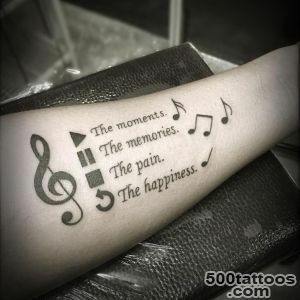 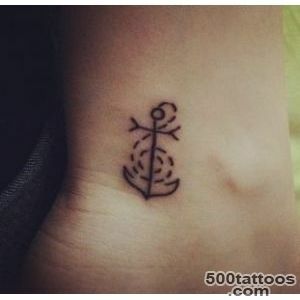 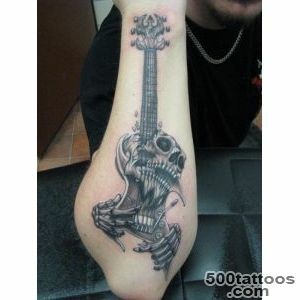 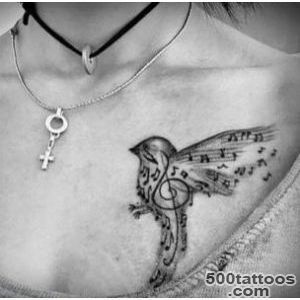 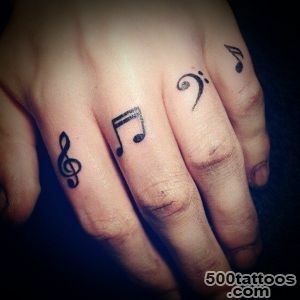 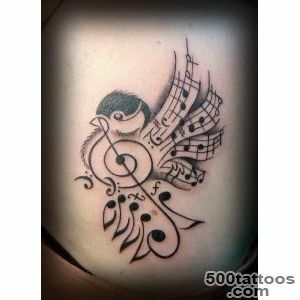 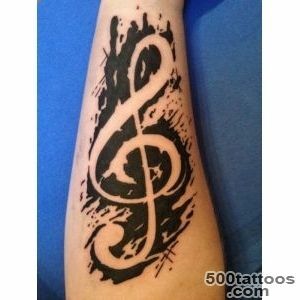 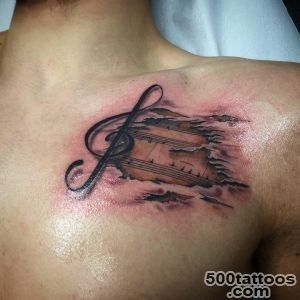 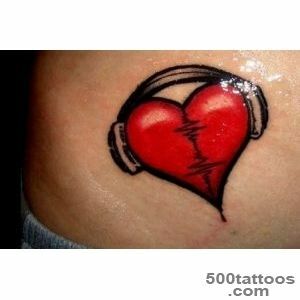 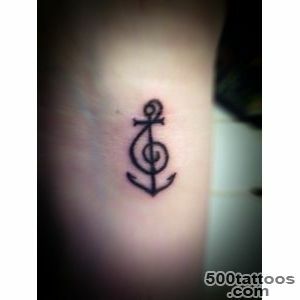 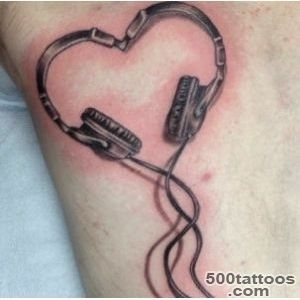 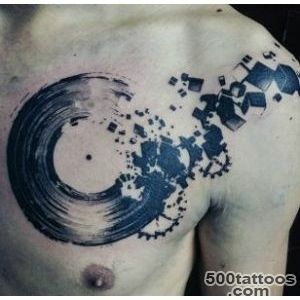 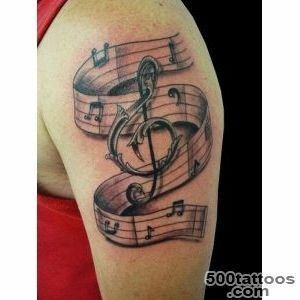 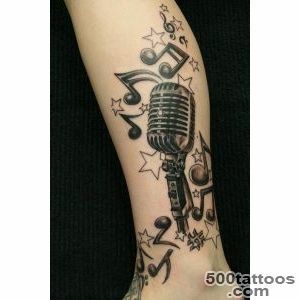 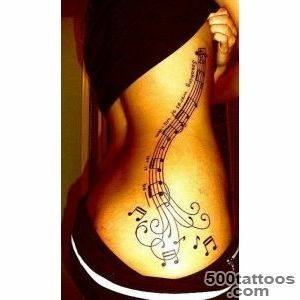 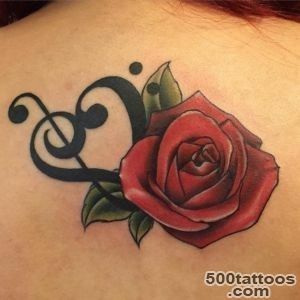 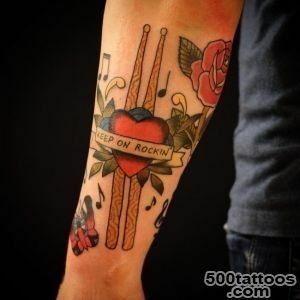 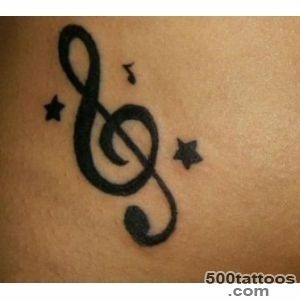 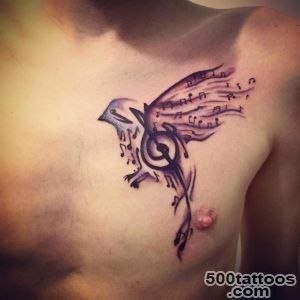 Musical tattoos are usually a sign of a person belonging to the creative professions . 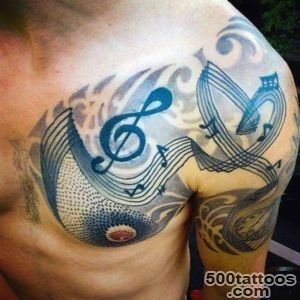 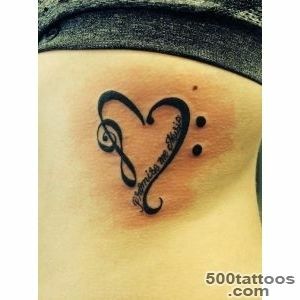 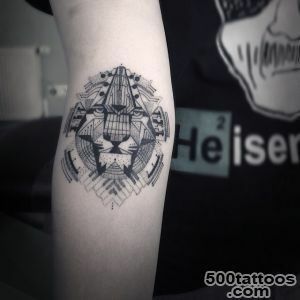 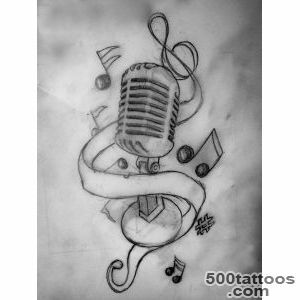 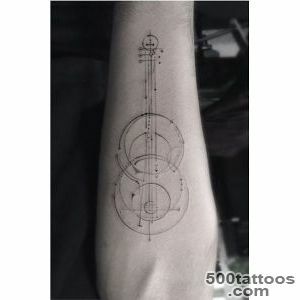 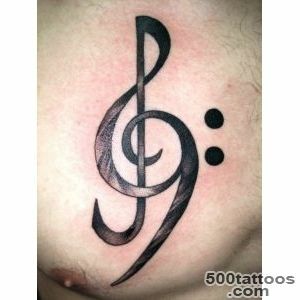 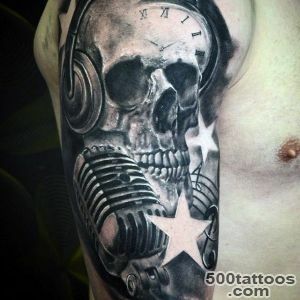 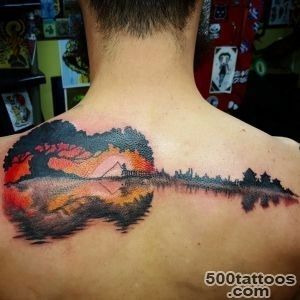 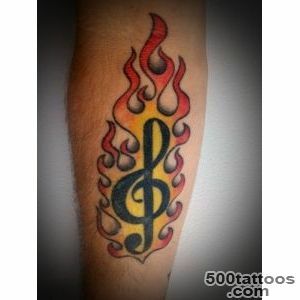 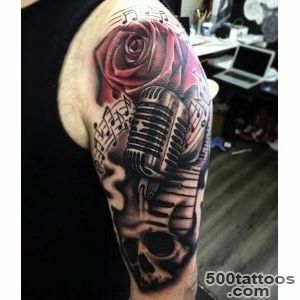 Virtually all modern show business stars , who are singers, musicians , DJs have a tattoo with the image of music, treble clef , musical instruments. 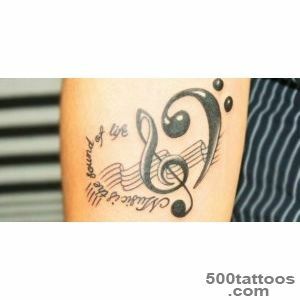 Musician - it's still not a profession but a particular way of life ,because life and work in a truly talented people are inseparable , one without the other does not exist , the end of life - ending creativity ... and vice versa. 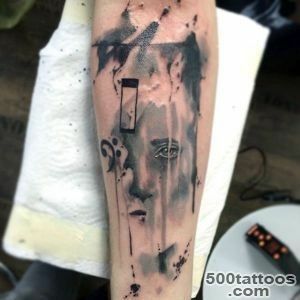 Often fans and fans make a tattoo with the symbol of your favorite band or singer in honor of their dedication to his work .